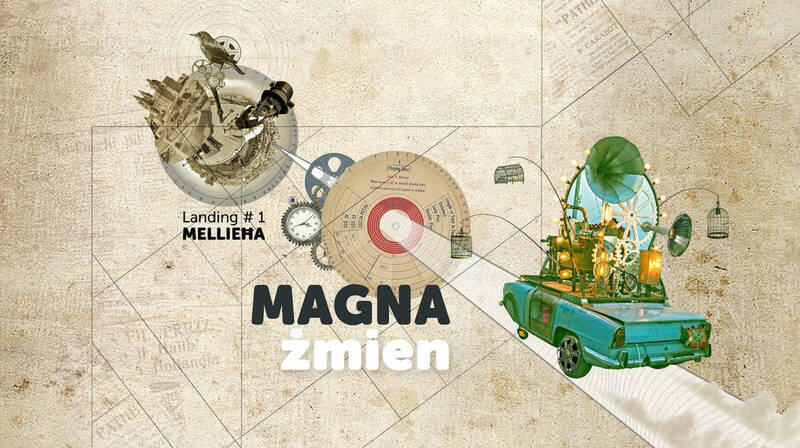 Magna Żmien presents a series of events titled ‘The Landings of the Magnificent Memories Machine’ as part of the Valletta 2018 cultural programme, kicking off on the 16th June at at Misraħ iż-Żjara tal-Papa Ġwanni Pawlu II in Mellieħa from 8pm. The Mellieha event, organised in collaboration with Solar Cinema and Mellieha Local Council, will feature: a time-machine performance by ‘Armchair Voyager Wistin and the Banda ta’ Memorji Meraviljużi’, a live sound and video installation by Timothy Garrett and Tiny Island Studio, and a short film programme on the subject memories curated by Solar Cinema. Each event in the series will showcase curated content and artistic interpretations of local memories gathered from analogue sound and image home collections.